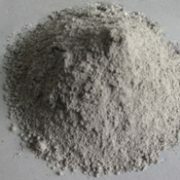 High Performance Admixture for Grout for Prestressing Tendons - MUHU (China) Co., Ltd.
EPS-P is a cement-based pumpable grout with specially graded aggregate. It produces a pumpable, nonbleeding, high-strength fluid product with an extended working time. The specially graded spherical aggregate mitigates chloride migration while still allowing the product to be easily pumped over long distances through small openings. EPS-P meets all the compressive strength and volume change requirements ASTM C 1107 (CRD C621) at a fluid consistency. 1.It’s mainly used for grouting of prestressed ducts and anchoring systems, grouting of joints to stop leakage, and curtain grouting. 2.It’s suitable for use in concrete ducts of railway, road, bridge, nuclear power station etc which is subject to adhesion stress. 1.It’s a new type admixture which is compounded from inorganic functional material with organic high polymer material. 2.Because of low alkali content, it’s nontoxic, noncorrosive and no damage to steel bars. It’s easy to use and has stable quality. 3.It has perfect flowability and good fillability. It flows freely even in irregular shapes to get self compaction. 4.It has slight expansiveness which compensates shrinkage of cement laitance resulted from drying or temperature difference ensuring volume stability of the laitance after it cures. It prevents water bleeding, ensures laitance stability and brings high compressive strength and adhesion after the laitance cures. 2. Expect reasonable variations from the results shown above. Control field and laboratory tests on the basis of the desired placing consistency rather than strictly on water content. Do trial mixes to determine dosage before use. Recommended dosage for the grouting agent powder is10% by weight of cement. Ordinary grouting agent is used when ambient temperature is above 15 celsius degree.